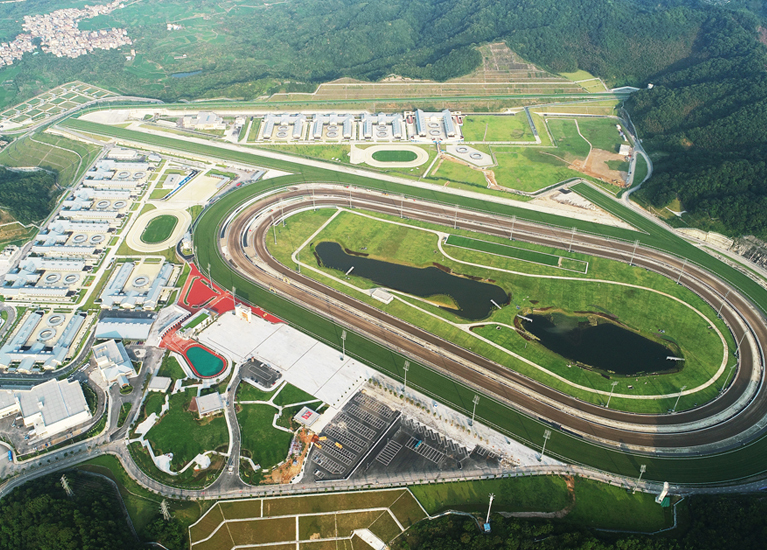 The Hong Kong Jockey Club Conghua Racecourse is a world-class facility for the training of Hong Kong’s thoroughbred racehorses. Since the late 1970s, Hong Kong's horses have been stabled and trained exclusively at Sha Tin Racecourse. To supplement these facilities, for nearly 20 years The Hong Kong Jockey Club (HKJC) sought additional land in Hong Kong. Eventually, the HKJC settled on this site in Conghua where it designed and built the equestrian venue for the Guangzhou 2010 Asian Games. Spread across 150 hectares, Conghua Racecourse can house more than 660 active, in-training horses at its current stable capacity. They are assigned to reside in Conghua by their trainers and travel between Sha Tin and Conghua in specially-designed floats. 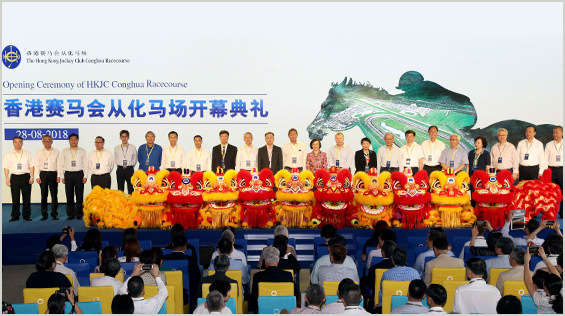 Located approximately 200 kilometres from Hong Kong, the journey from Sha Tin Racecourse to Conghua Racecourse is about three hours by car and four hours by specially-designed cross-boundary horse floats. These travel times, though new to Hong Kong, are standard practice in the sport worldwide, where horses invariably travel to many different racetracks in the course of a racing season.